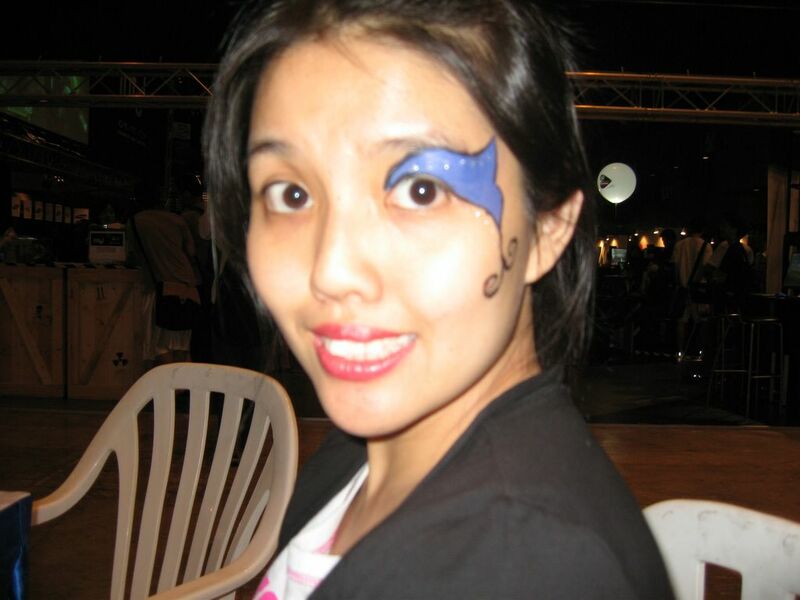 Face Painting at World Cyber Games - and got painted too! 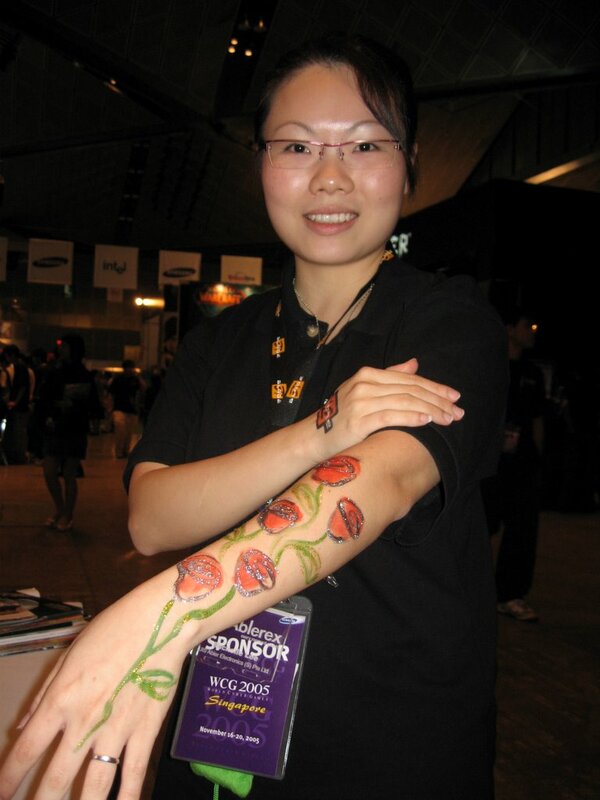 Gordon gave me a whole series of face painting shows for World Cyber Games and it was really fun! I painted all kinds of crazy designs, and I must say, the crowd was really open minded and had a sense of fun! They didnt mind getting painted even when the designs covered their whole arm. I painted abs onto one game character walking around, all in the name of fun. Stretching over four days, I only managed to paint on the first day, with Jane, an old friend of mine who was Primary Four when I met her. Life is funny, just when you think you will never meet someone again, they turn up in the strangest of ways. I first saw her again when she was Li Seong's girl friend, and at that time, I didn't really know Li Seong either. I knew his brother, Nique much better. It is strange that now, I don't get to talk to Nique much, and instead, Li Seong is one of my best and favourite friends! Look at his abs! I painted them on, they are NOT real! That was really fun actually, and the very first time I got to paint on abs for anyone... so if you need help, call me! I have more pictures, but here's another to see the huge roses I painted on the arms of some of the ladies walking by!